We run over 380 activities every week. Find out more about what’s on offer by clicking on the summaries below – you’ll open up a document, which you can print out. Or, if you want a more detailed list of all our activities, search by your area on the left. 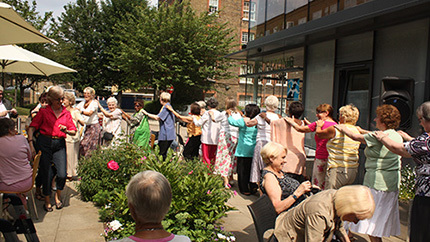 Our activities include a wide range of physical classes, dance, creative and performing arts, IT, languages, current affairs social groups and speakers, weekly trips, tea dances plus health and taster days. Activities are provided from around 60 different sites that include our own centres as well as church halls, community centres, libraries, sheltered housing schemes and sports centres. We even provide free facilitated groups over the phone for people who can’t get out. 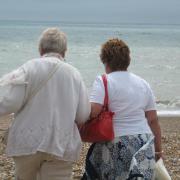 Some activities are specially designed to offer unpaid carers – people who look after friends or family at home – time off and fun for themselves. These include regular trips plus social and cultural events, as well as complementary therapy sessions. Please click link HERE to visit our new Open Age Art Gallery Website. You just need to become a member of Open Age – it’s free. All our activities are either free or low cost – between £1 and £3 per hour on a pay-as-you-go basis, with no upfront or term fees. Lunch clubs, trips out and complementary therapies cost slightly more but still offer great value for money. Unless the programme says otherwise, just show up at an activity, complete a membership form and join in. Most of our classes are run by independent professional tutors with qualifications and experience in the area of activity. Social and information groups are facilitated by our outreach staff or volunteers, who bring in speakers on topics of interest. Open Age is also linked to a huge number of informal partnerships and we work with a variety of arts and cultural organisations to increase the breadth of what we offer – for example we are an ambassador to the Historic Royal Palaces.